Cookies, cookies and more cookies! These simple cake cookies are such a hit and couldn’t be easier to whip up. 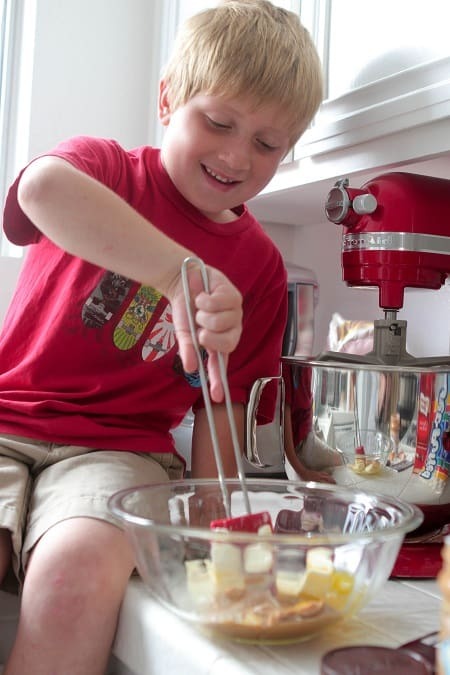 Once you have your s’mores toppings and a cake mix, you are just about good to go! 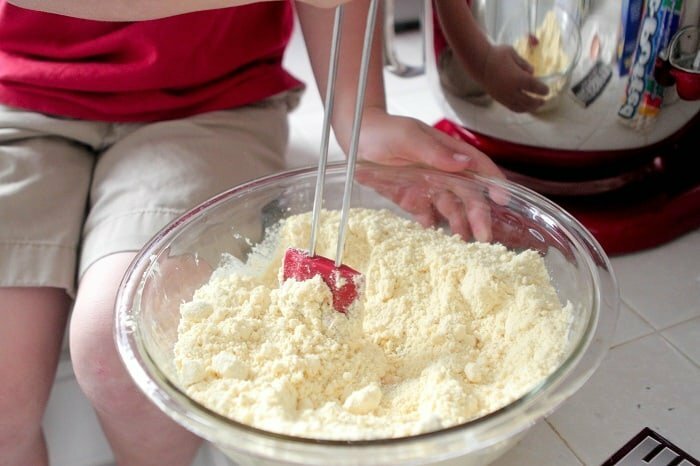 One bowl folks, you can do this in your stand mixer if you prefer. 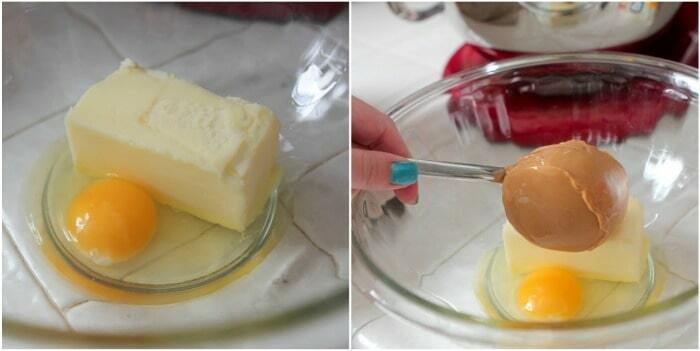 Add your cake ingredients to a large bowl. I had my sweetie pie helping in the kitchen for these, what a treat! Wait until you try this dough, mmmm! 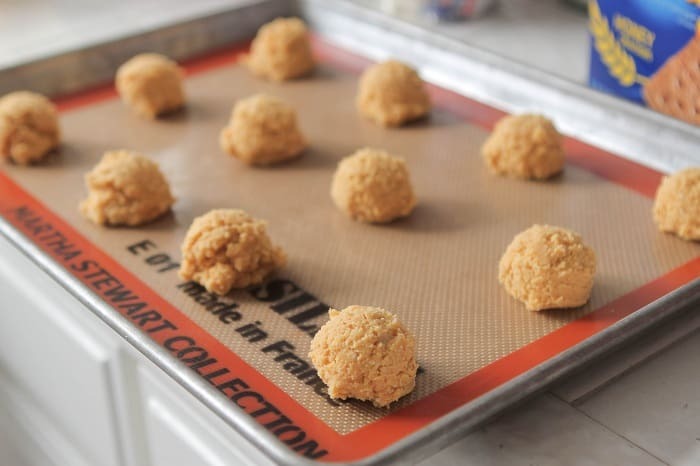 Place your cookie dough onto your baking sheet. 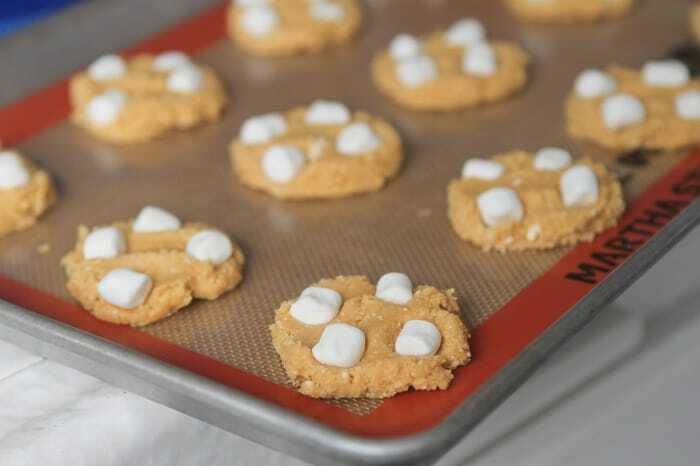 Flatten each cookie and top with mini marshmallows. Top each with a Hershey Bar rectangle. Top with graham cracker pieces and time to bake! You get little bites of heaven when they come out! You’ll love these bad boys. 2. 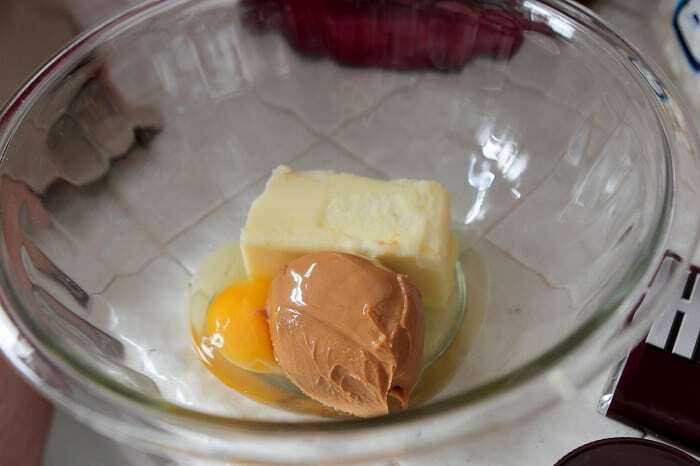 Place the cake mix, butter, egg and peanut butter into a large bowl, mixing to combine. I find it easier to use my hands towards the end. 3. Scoop dough with a medium scoop and place onto prepared baking sheet 1 inch apart. 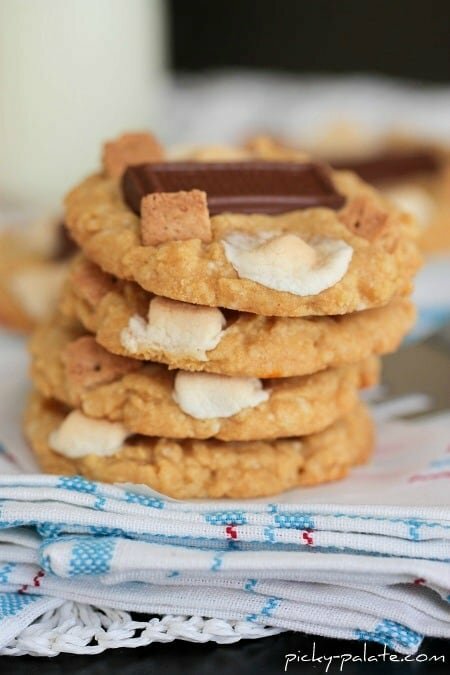 Flatten each cookie to 1/2 inch thick and top each with a Hershey bar rectangle, some marshmallows and some graham cracker pieces. Bake for 12-15 minutes, until cooked through. Let cool for 10 minutes on baking sheet before transferring to cooling rack. Serve and enjoy! Awesome cookies, Jenny. 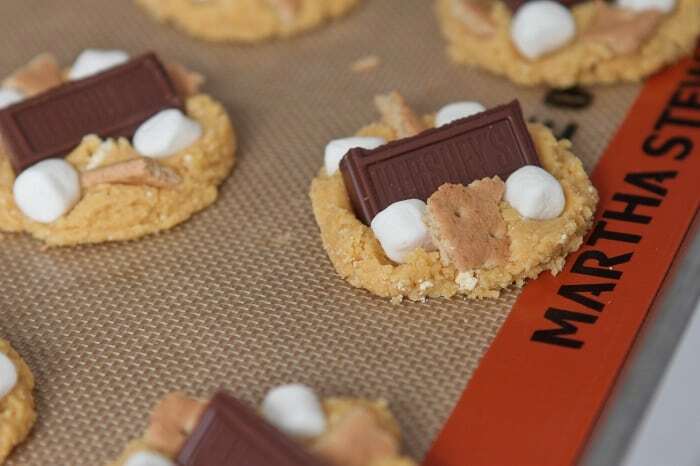 Cake mix, marshmallows, grahams, chocolate…perfect. 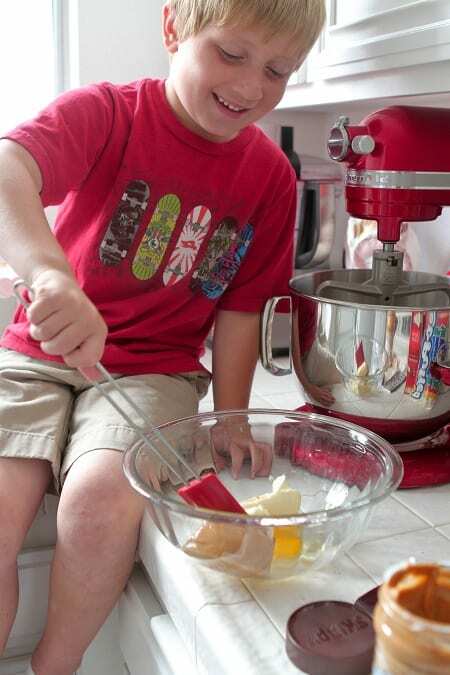 Your little helper is so cute. Love that he loves to help his mama in the kitchen! Mmmm just amazing. These wouldn’t last a minute in my house! 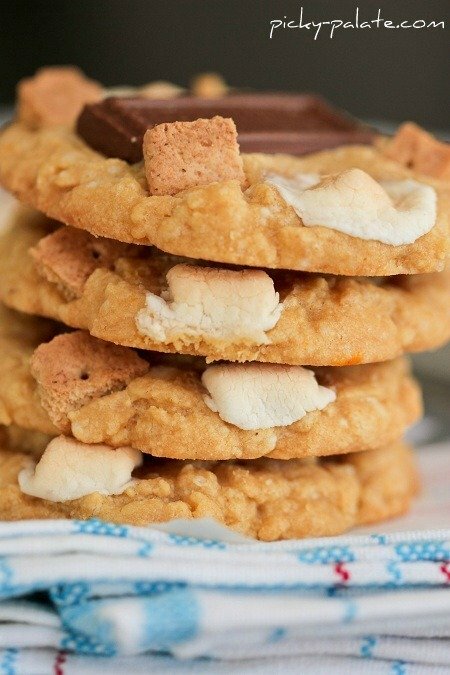 love that you turned a classic treat into cookie-form! haha, i laughed out loud when i saw that huge wad of PB..LOVE it!! Love your peanut butter addition! 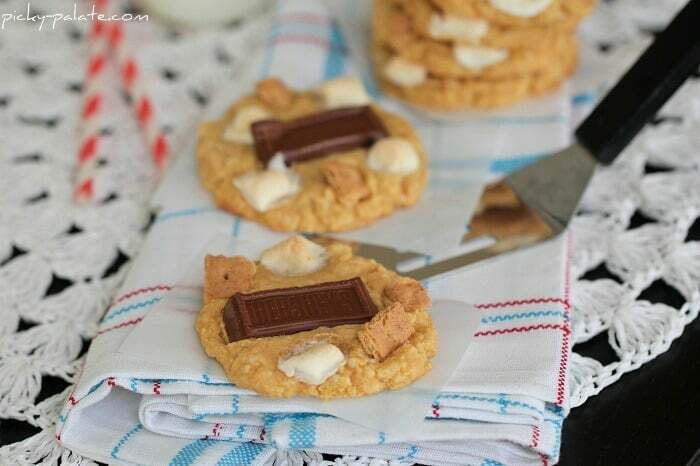 And I love S’mores cookies-still need to post my latest recipe:) Have a great day! Love them! And I love your little helper – too cute! I need cookies in my life today! These look like they’d do the trick! love this Jenny! Miss you and hope to see you very soon!! LOVE using cake mixes and turning them into cookies! Such a yummy shortcut! I love the added graham crackers. 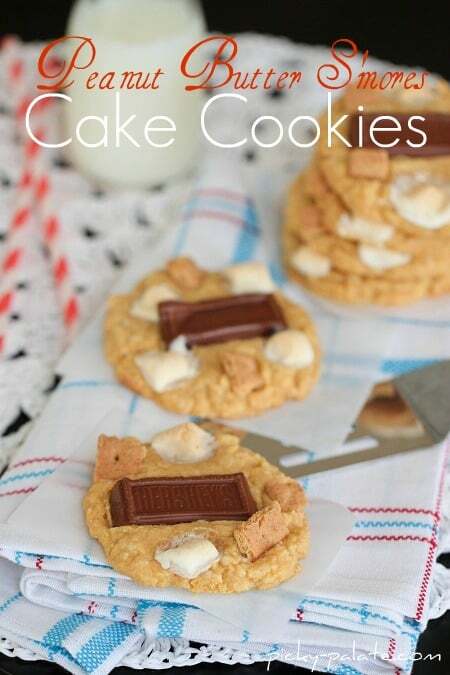 These are awesome Jenny, cake mixes for cookies are the best! Ohhhhh boy 🙂 I just wanna try the dough! Always love your cookie creations! Those are so stinkin cute!!! What a cute little helper!! These make me want a summer campfire so badly! 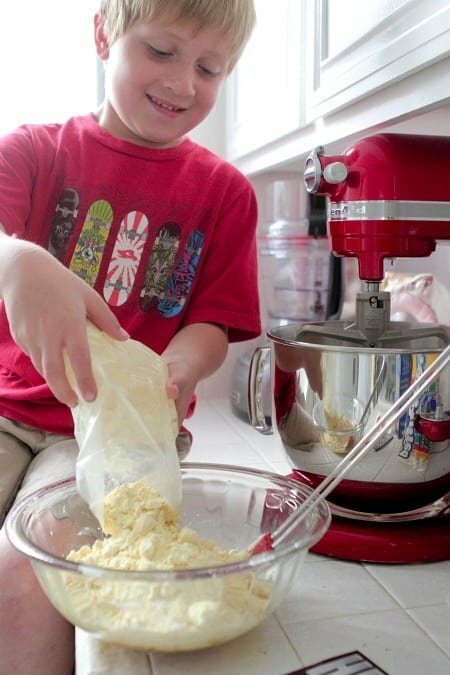 Your little helper is just adorable. I’m sure he enjoyed the delicious treats he helped make! What a great idea! I love how the cookies stat with a cake mix. Every baker needs a secret dressed up cake mix in their recipe collection. 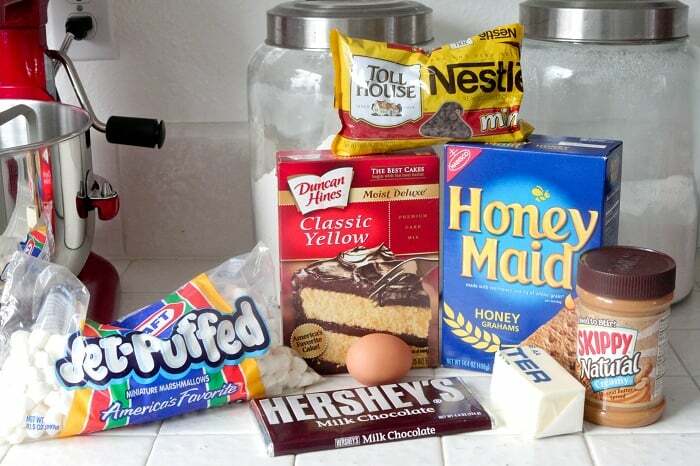 My favorite is a pound cake mix…it is just about as versatile as a yellow cake mix. Is it wrong I want to put marshmallow ice cream between two of these and make an ice cream sandwich? this just looks so yummy… your kiddies are so adorable. i’ve never baked with marshmallow, can you believe that? What a fun treat! Perfect for getting help from little hands. These would be so fun to take camping! Ohhh YUM! Adding peanut butter to s’mores…perfection! These would not last long in this house! Yah, they didn’t last long in our house either!! Peanut butter added to s’mores? Brilliant – this sounds so good! 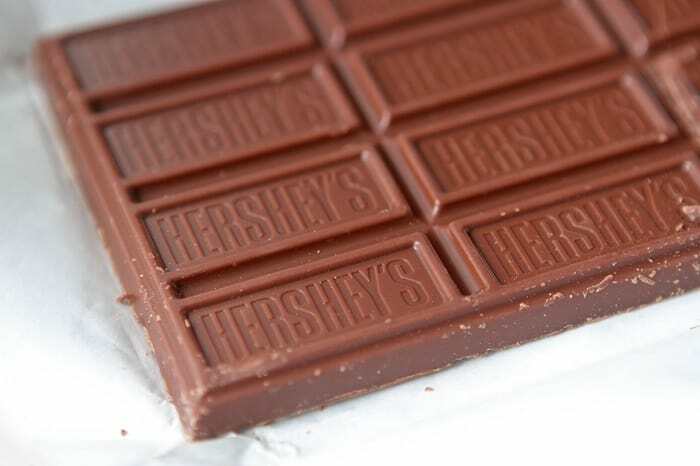 Did you try it with chocolate which is not Hershey’s? I’d love it with Valrhona. 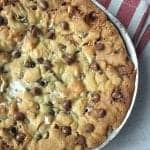 I remember when I made your White Chocolate S’mores Gooey Cake Bars – https://picky-palate.com/2011/07/25/white-chocolate-smores-gooey-cake-bars/ – for my daughter’s housewarming in July 2011. What a hit they were! Now you want me to make s’more cake bars with peanut butter! Be still, my heart. You come up with the most fun, yummy ideas. Thanks for your sweet comment Kathleen!! Free Shipping Cupcake Cases, Cake Pans Molds, Cookie Cutters, Usually Ships within 24 hours. Home Baking Supplies: Free Delivery Cupcake Cases, Cake Pans Molds, Cookie Cutters, Cake Cases, Jelly Chocolate, Chocolate Moulds and more, 100% Price Guarantee, 30 – days Free Return Policy, 77Sell.co.uk 24/7 Friendly Customer Service. 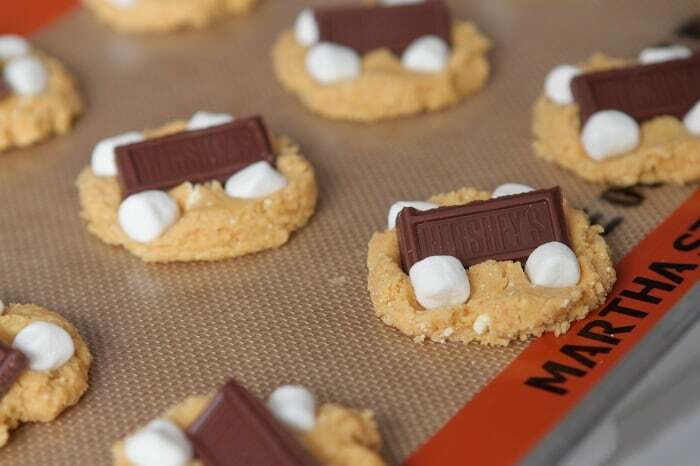 These are so creative and look incredibly delicious – I’m going to make them today. 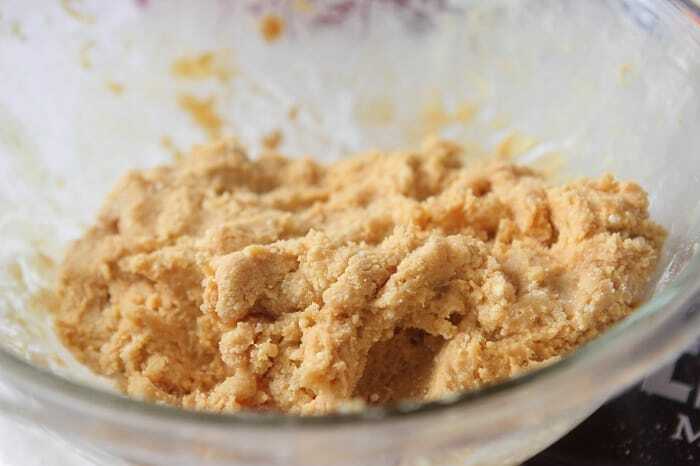 I have some graham cracker crumbs in my pantry, so I’m going to try rolling the dough in the crumbs before baking them. I love your site Jenny, thanks for sharing all your creations. Can’t wait to add your cookbook to my collection. These look so amazing. I would like to try them but I have some home made yellow cake mix,would like to use that. can you tell how much is one box(in grams). How is it that the chocolate didn’t melt?